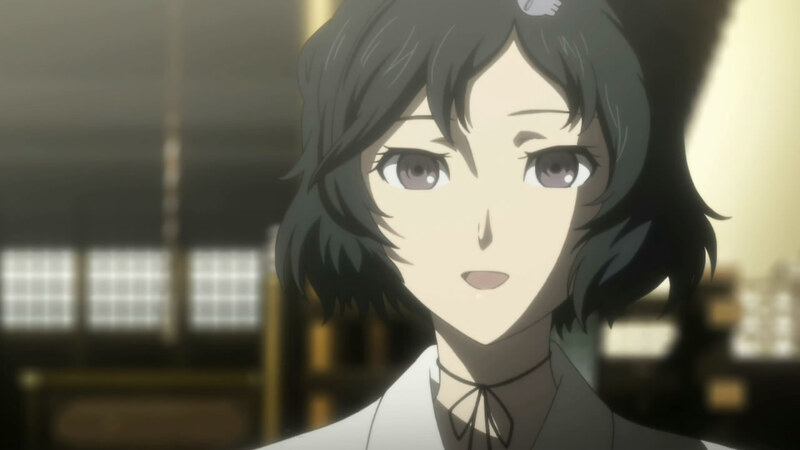 The nice thing about the show is that there’s no concrete plotline laid out, so there’s no predictability as to how the story will even pan out. That would already be cool by itself, but throw in the inevitable time travel twists in the future, and you’ve got one hell of a good thing going here. While I don’t find myself completely enraptured to pining for next week, it’s definitely gradually getting interesting. The hunt for the IBN 5100 made use of all the supporting characters introduced from episode two, and actually revealed a tiny bit about each of them. To sum up, Bike-chan wants to be a soldier (wut), Nyannyan was more famous than I thought, Trap-tan has an awesome accepting dad, but Christina has daddy issues. 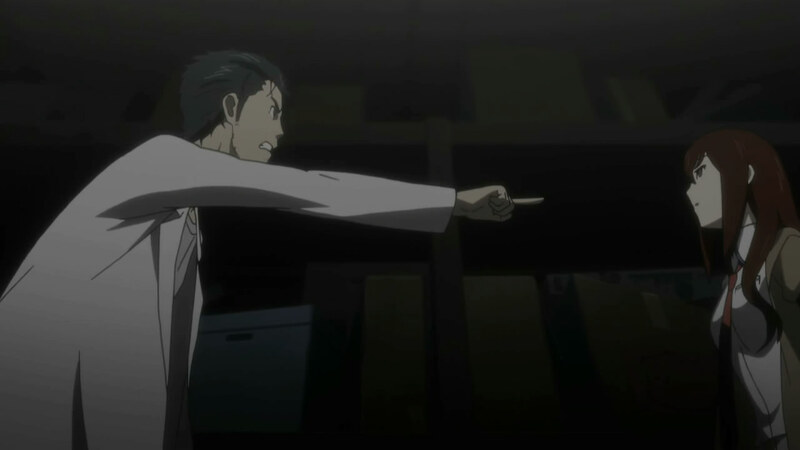 Quite possibly the best scenes are when Makise and Okarin harass each other. 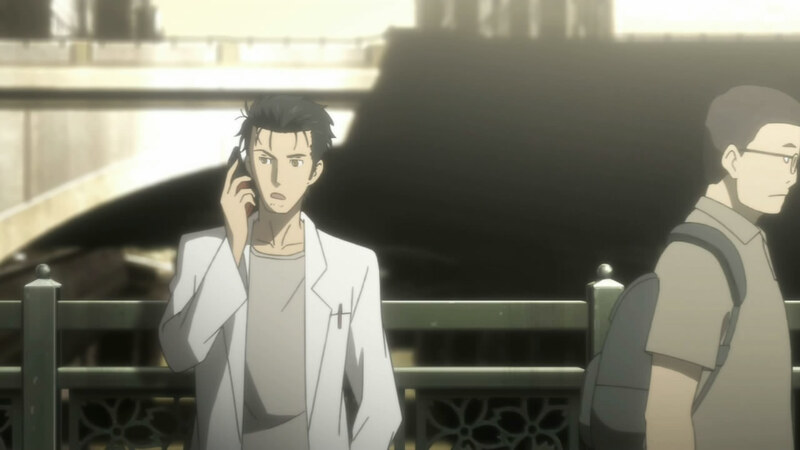 I just can’t help but smirk as Makise slowly gets tangled with Okarin’s problems. 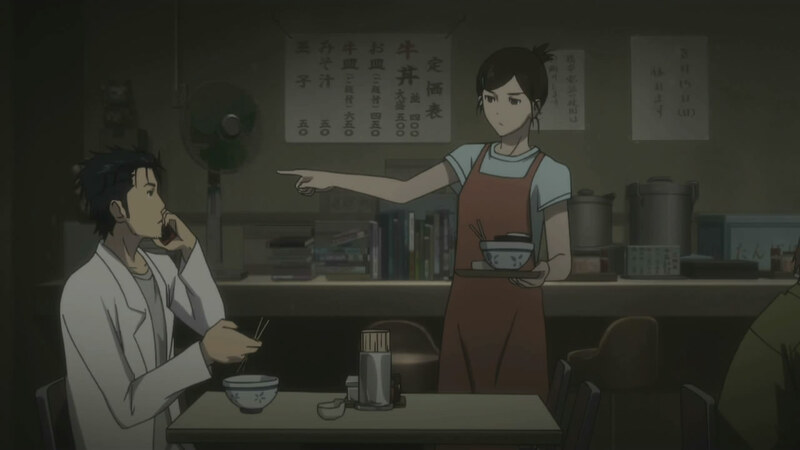 Their relationship is fun as each character makes up valid remarks/insults on another, resulting in a rare equality between a male and female that is far too underused. 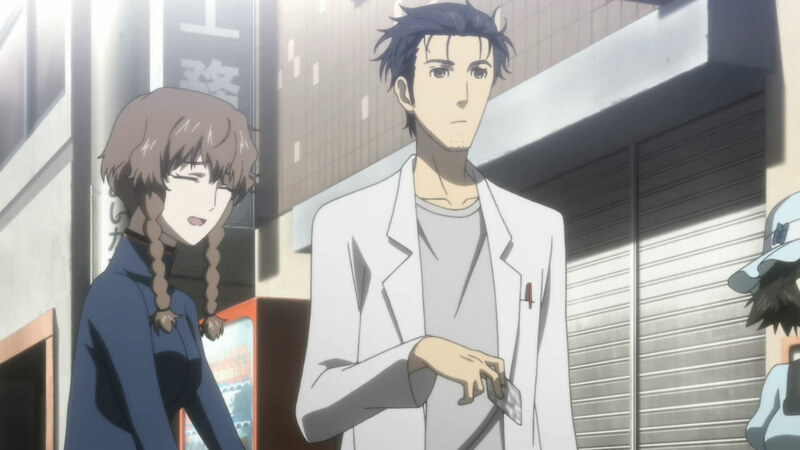 Okarin’s comments in general usually get a laugh out of me, and the running joke of Ruka being a trap will never get old. 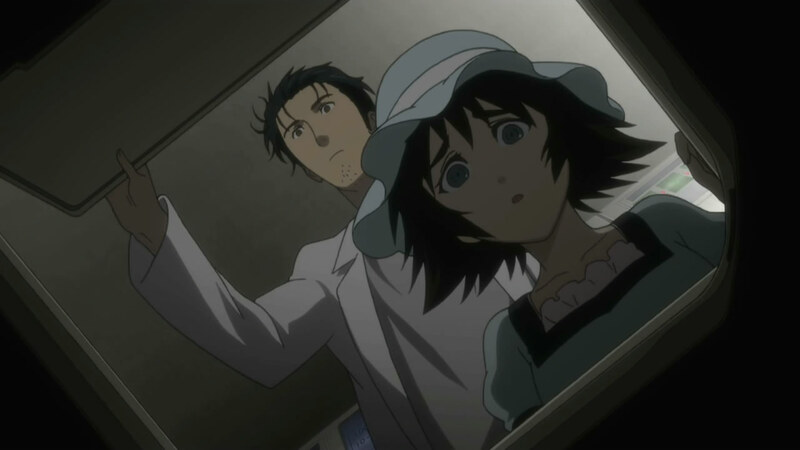 I also like that there’s a “Mayuri Habit,” a sort of ritualistic trait to add to a character that’s not used fairly often. In essence, the characters are turning out good. 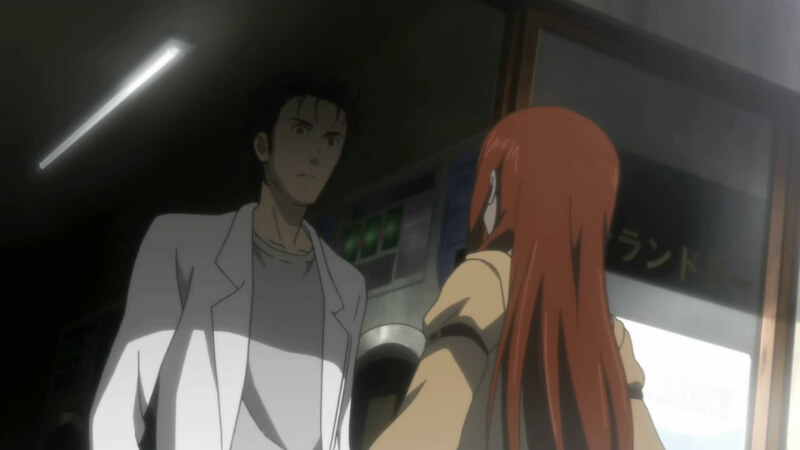 I think by now, White Fox has shown some form of success in this adaptation, at least in the eyes of a first timer for Steins;Gate. 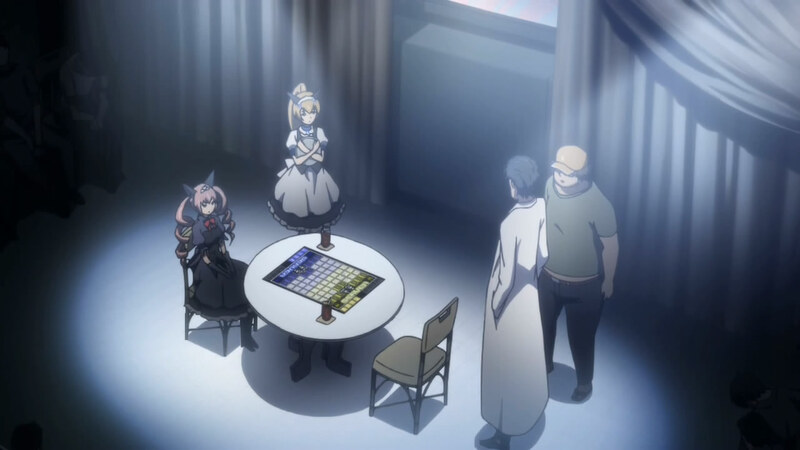 There’s enough development in each episode to feel plot movement (this one especially), flesh out the cast, and even hint at larger issues for the future. The problems I have is the lack of any consistent excitement, and the slightly slow pace. I’m actually expecting the show to suddenly turn into an action/adventure thriller soon, and if that doesn’t happen at least halfway, I’ll be sorely disappointed. Now that the IBN 5100 is in hand, it may just be the gateway to the beginning of the end. 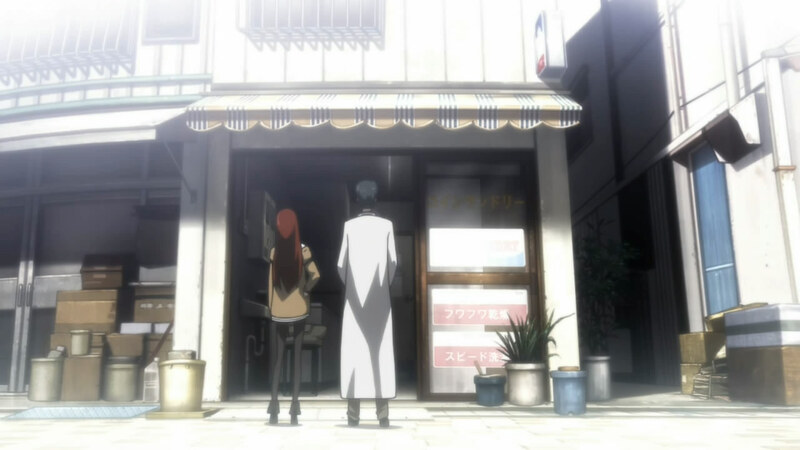 I’d assume that of Makise’s dad as well, but it’d be too typical, so I’m hesitant. 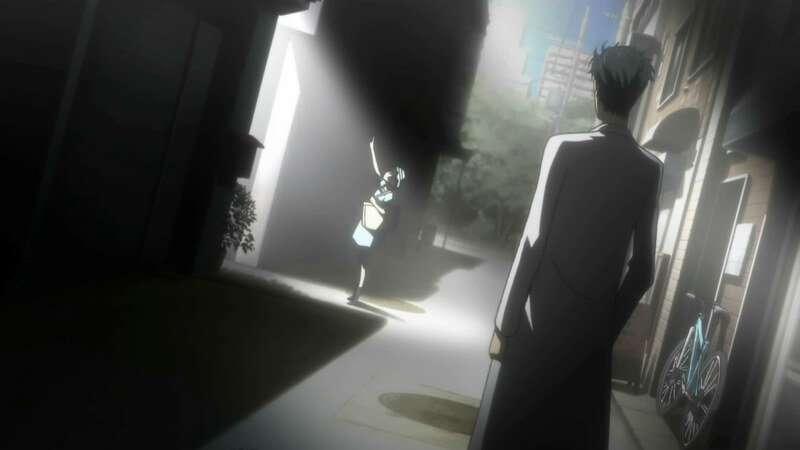 Loved when Okarin didn’t recognize Makise’s voice at first when she called. And seriously every time he calls her Christina in a different tone still makes me laugh. 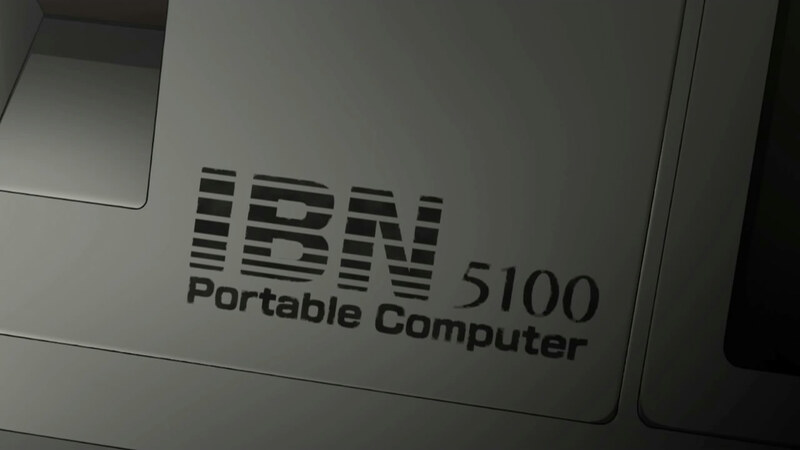 Overall i’m glad they didn’t waste any time finding the IBN 5100 this episode. 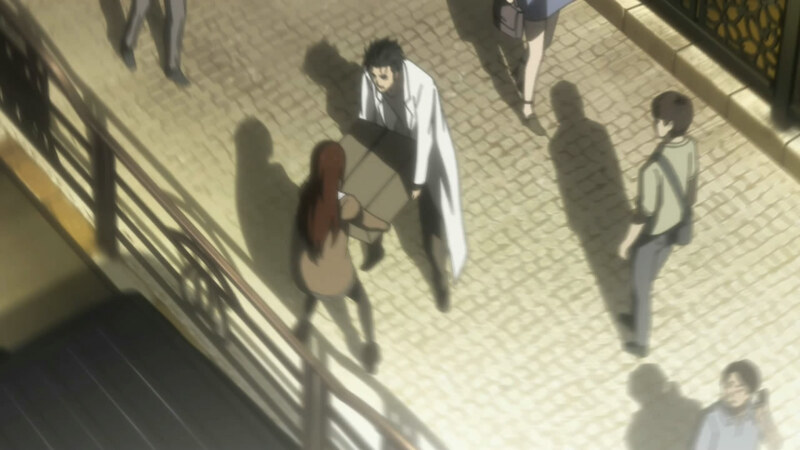 So did Okarin send the computer back to himself? 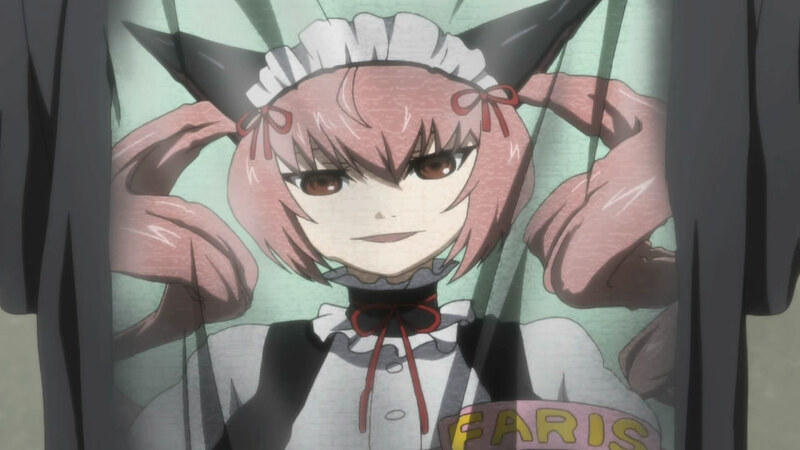 Is the part time job girl actually some sort of resistance fighter against SERN in the future timeline? 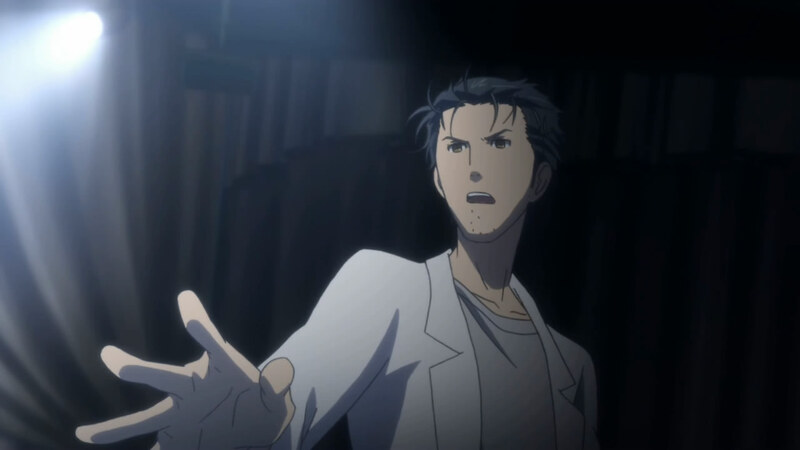 Or it could be the other John Titor of 10 years ago that only Okarin can remember. 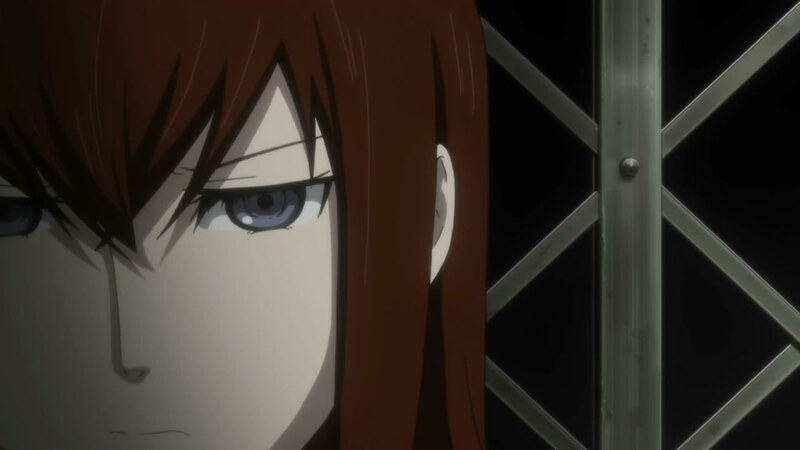 “christina” is like a tsundere but not quite there yet. 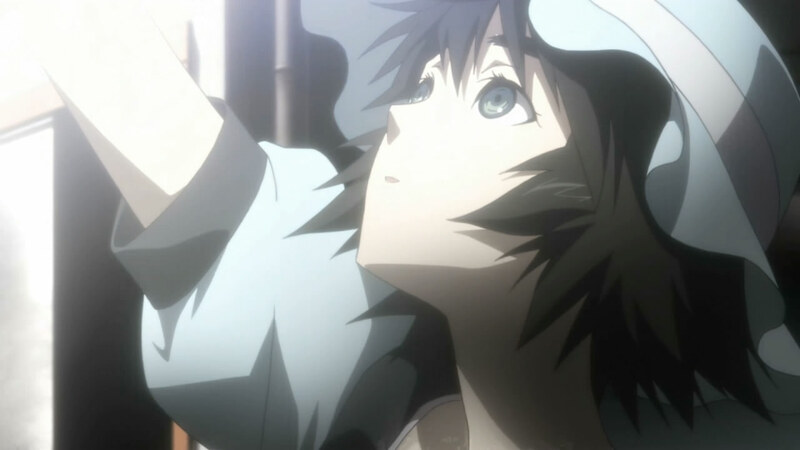 I still stand for mayuri though. 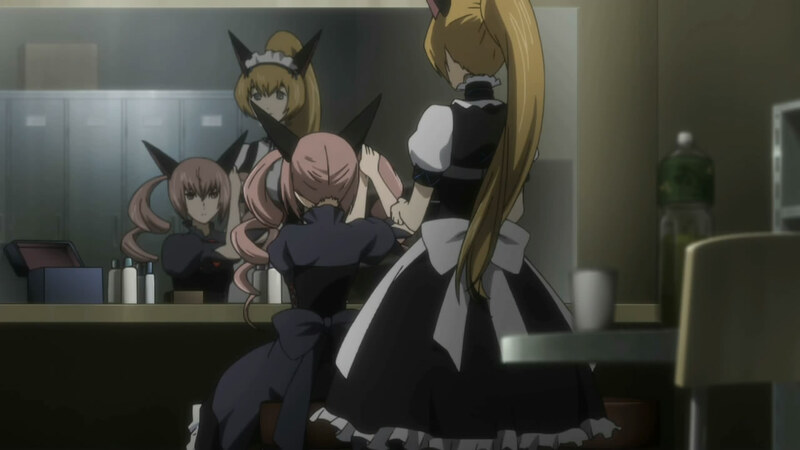 the pink haired girl was pretty cute. This is one of Top 4 Series this season :). 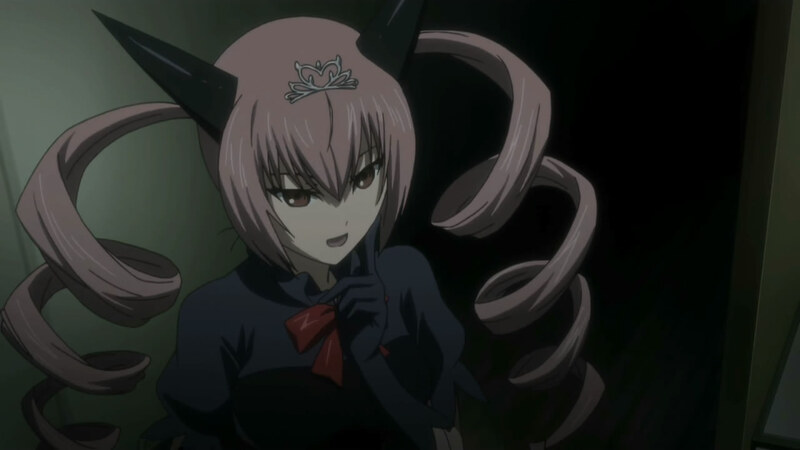 Plus another shout out for: It’s a trap!!! 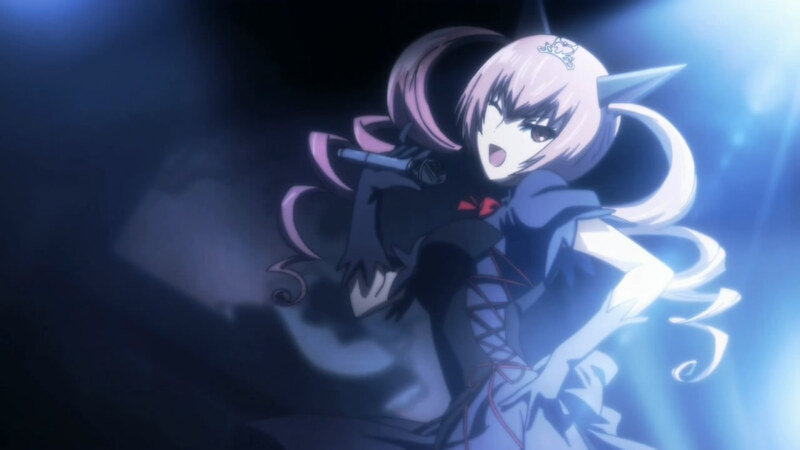 Ruka should be illegal. 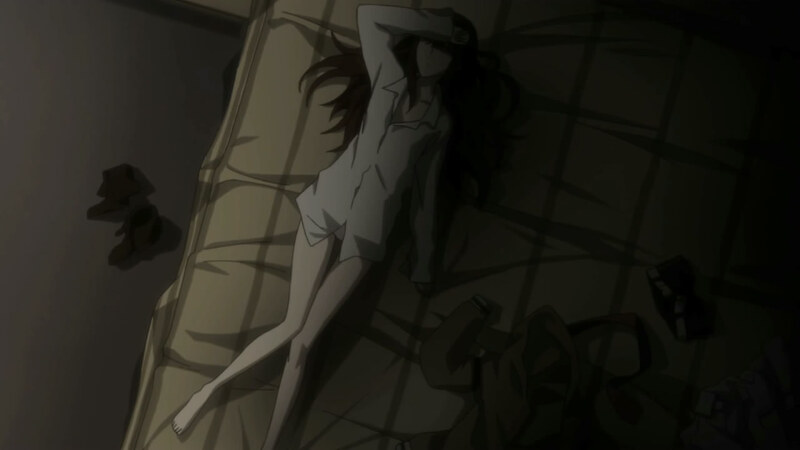 And Christina is smokin on that bed. Pink ^-^. 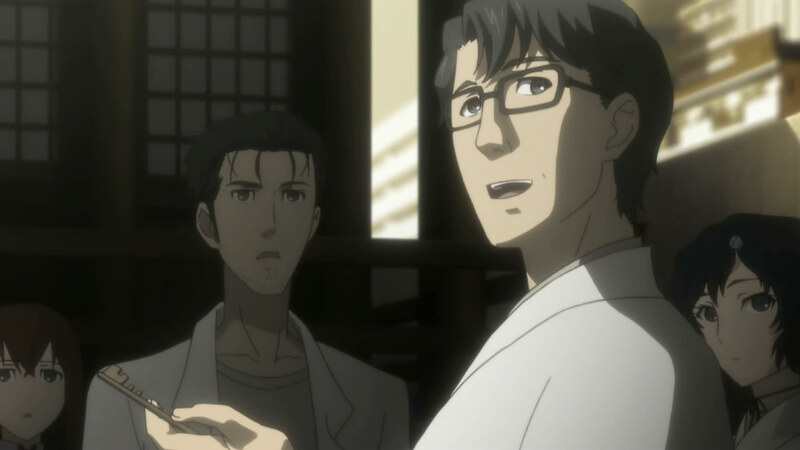 Is it ironic that the day this episode came out SERN had an info leak about some “unexpected data spikes” in their Higgs Boson experiments lol. Just in case anyone needs a link. 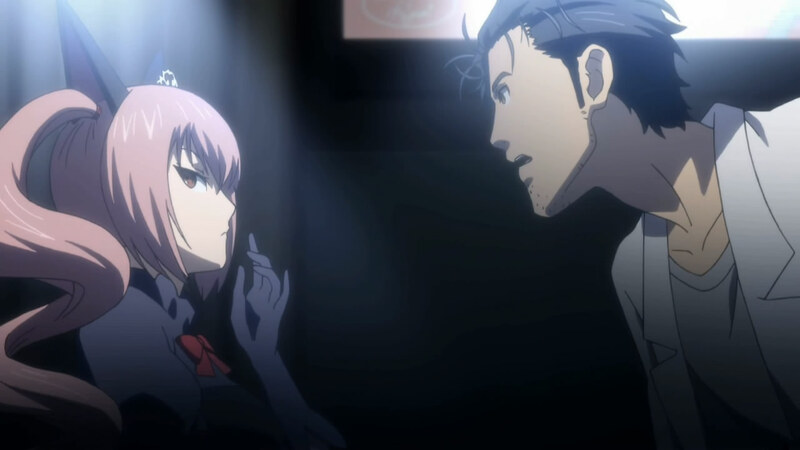 Hoping they take a Christina route. I’ll be really sad if they don’t. For those interested in some goodies you can get the famous IBM for only 8000$ on ebay!! This show just ain’t doing it for me. I don’t know how the game worked (was it a comedy? ), but I’d rather see it be more a lot more serious. 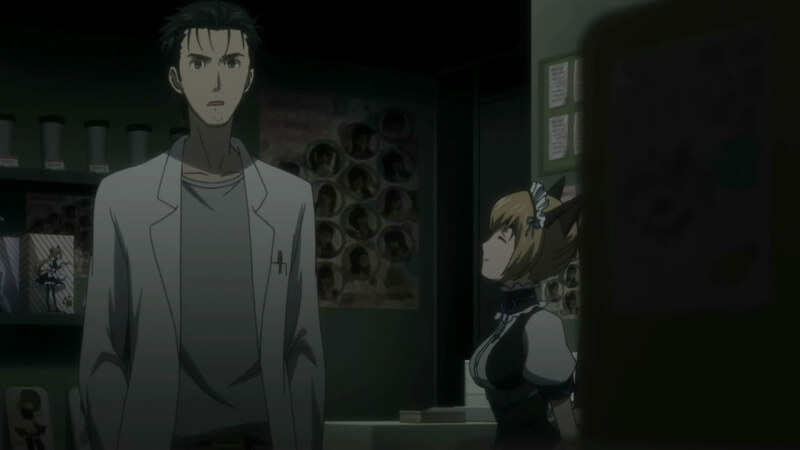 It doesn’t help that I keep feeling Okarin is too flamboyant with his voice. a little bit of comedy for the first half, then more serious in the later parts. Everytime he says Christina I always expect a red car to go crusin by lol. 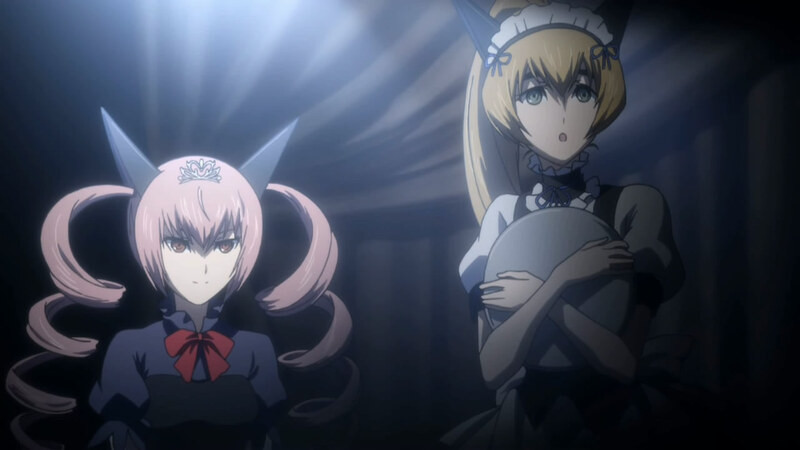 G-back was hilarious.I love my Mayuri and her Human form Pokemon cards.I’m starting to think Feyris is that Part timer. Having played the Windows game when it came out, I’m so far impressed they’ve followed the plot perfectly. 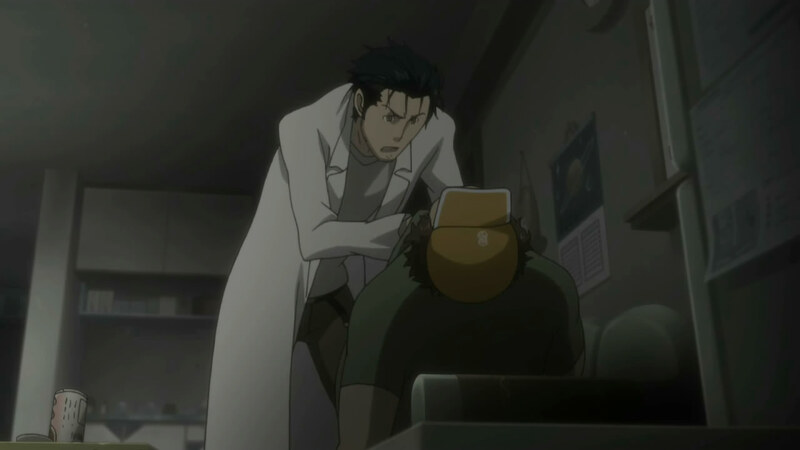 That said, give it 2-3 more episodes until the pace really picks up, if they continue following the game. 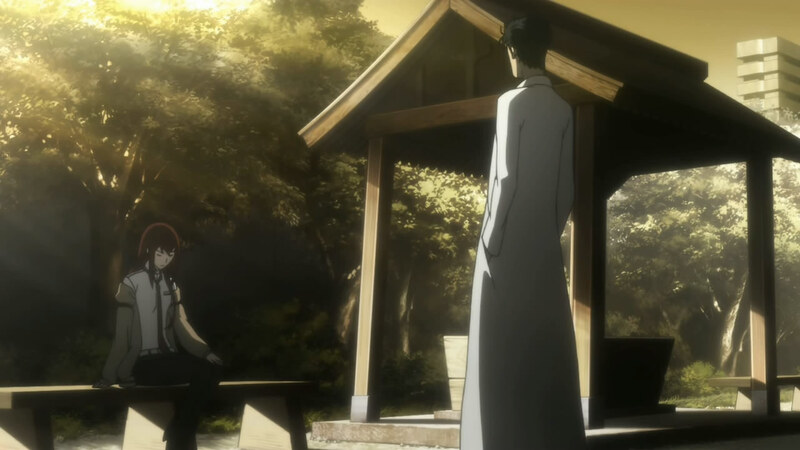 This series has lots of action and surprising twists, which shouldn’t be surprising considering it’s about time-travel. 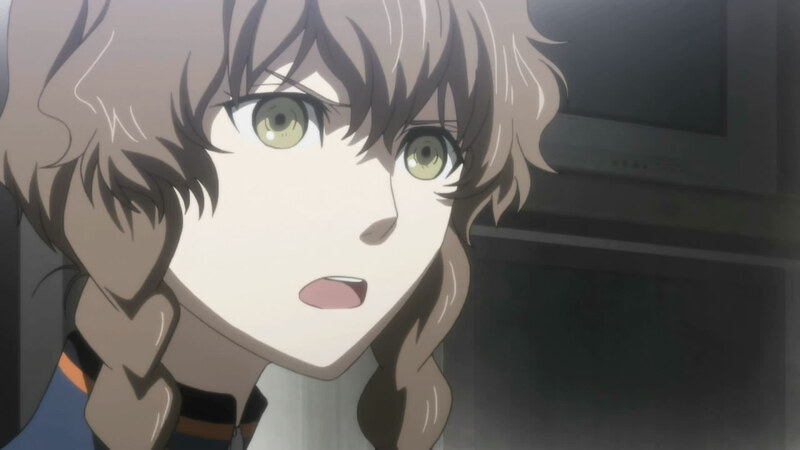 Unfortunately nowadays people are conditioned to expect an anime to be eventful from the beginning, sans steady character or setting development, so I can understand the frustrations of some. 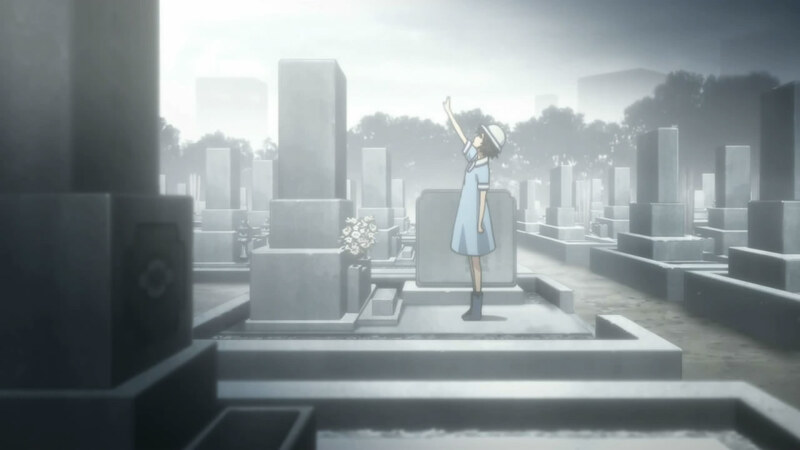 I love how short and sweet this anime is, although at times it could seem like a sudden slowdown but this series wastes no major time. Normally you would find yourself watching 3 fillers before they would find the supposed IBN 5100 whereas here they just find it with no real effort and out-ruling the ease at which they discovered it as planned by John Titor. 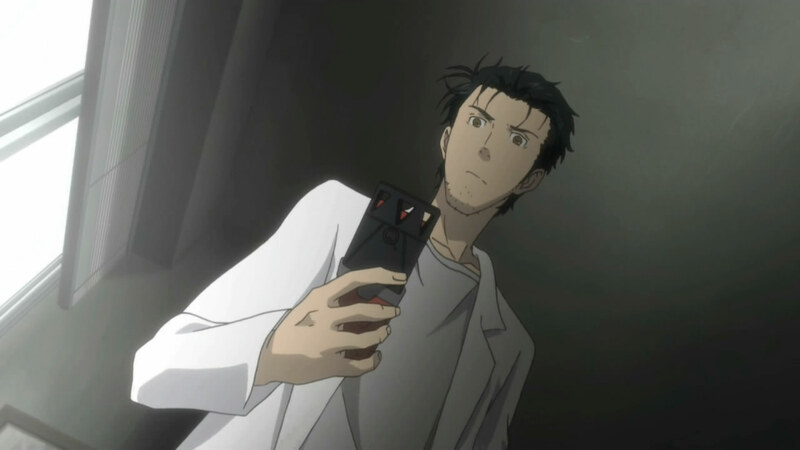 It really puts John Titor’s position in great mystery and I think it’s getting pretty interesting knowing that he was apparently a time traveler from CERN, whose confidentiality he is willing to disregard, has offered to help Okarin in some way but also adding more mystery to that fact that this could be a different John Titor that he had known about all together.